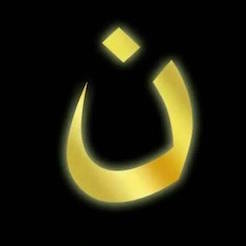 These acts are increasing against Christians, conservatives and even Republicans. It’s the work of Antifa. It’s a loosely-knit group, formed as the liberal “tip of the spear,” whose only job appears to be showing up as a mob at peaceful rallies and creating violent chaos. There is nothing peaceful about Antifa, which is an acronym for anti-fascist. When you see them in action, they have more in common with Hitler’s storm troopers, using violence to promote an ideology, in this case a far-left agenda of progressive collectivism, anti-capitalism and anti-Christian values. They are aided and abetted by the mainstream media, which shares the same liberal ideology and will do almost anything to delegitimatize the Trump presidency. They hide behind the guise of being “anti-racist, anti-conservative, anti-fascist,” to promote violent extremism. They arrive dressed in black from head to toe, covering their heads with helmets and hoodies, and their faces with scarfs, ski masks and goggles. They hide their identities to evade arrest. It also makes it easier to club someone over the head with a bat and run off. They come ready for war, armed with bottles of urine, rocks, bricks, bats, clubs and tear gas. Antifa gained national attention shutting down a conservative speaker at Berkeley, throwing Molotov cocktails and smashing windows. They caused more than $100,000 in damage, but a lot more damage was done to freedom of speech. In Charlottesville, they again showed up for battle against white supremacists. In Berkeley, Antifa protesters showed up at a “Say No to Marxism” rally, beating and kicking innocent attendees, and threatened to smash the cameras of journalists. Protesting is guaranteed by the First Amendment. Purposely injuring someone is not. Antifa is composed of autonomous groups in a loose support networks, and thus has no formal organization. Activists are called to action through social media and websites. But Antifa is no laughing matter. They are the new face of the far-left. There’s nothing more dangerous than someone threatening you with bodily harm just because you don’t agree with them. Don’t be surprised if they pick a church to intimidate, or a Christian rally. Antifa is a violent political militia doing the bidding of progressive leftists wherever the opportunity presents itself. At a Trump rally in Phoenix, when Antifa couldn’t goad anyone into a fight, they attacked the police. Anything for the cameras. Anything to disrupt your freedoms and right to free speech. Can you imagine? They had their OWN gas that they used on the police. Antifa doesn’t see vandalism and arson as violence, arguing that the people they shut down perpetrate violence through the policies they support. What’s more amazing is how police, in many instances, stand down and allow the Antifa mob to assault others, be they news reporters, counter-protestors or anyone who disagrees with them. Let’s pray for Antifa protesters to meet people of God, who can share the love of Christ. Let’s pray that goodwill and peace will triumph over hate and violence. Let’s pray for our country, that it returns to common sense and biblical values. 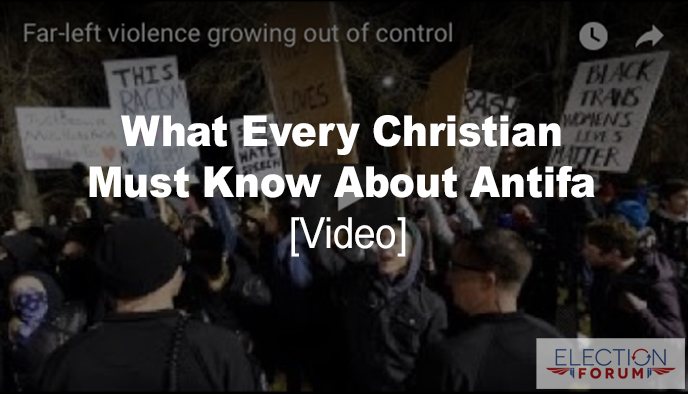 Watch this powerful 5-minute video on the rise of Antifa. In this shocking 5-minute video, Tucker Carlson examines how Antifa violence is out of control. Craig, I totally agree that we Christians are to pray for these violent protesters and for goodwill and peace. But the Bible says to resist the devil and he will flee from you. The devil comes in many disguises. So, it seems to me, that we are to resist these types of protesters. If they come against your church or your home, are we supposed to just “let them” do whatever violence they want? I don’t think most Christians would agree with that. We are to resist without resorting to violence ourselves. Thanks Craig and staff.